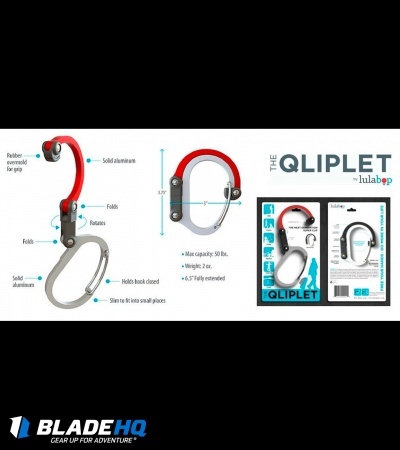 The Qliplet is an innovative clip tool that offers a wide variety of applications. 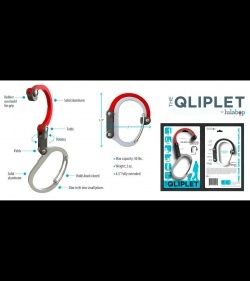 Part carabiner clip, part hook tool, the Qliplet can clip and hang anything and everything with its versatile design. 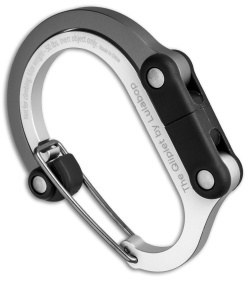 Ideal for camping, hiking, travel, storage, and much more! 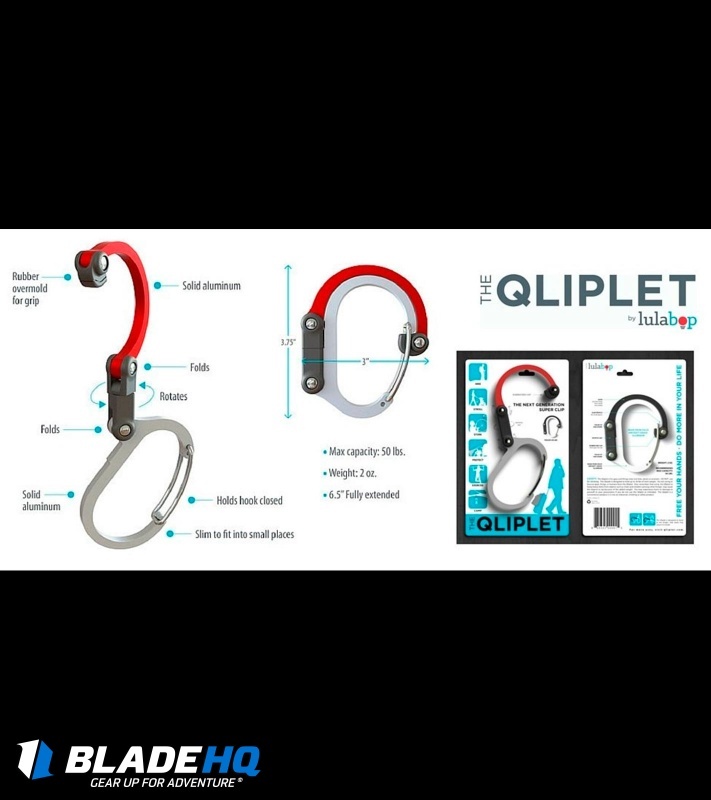 This Shade of Gray Qliplet model has an aluminum clip with a gray and black hook. Rubber end cap provides a tight, non-slip grip. 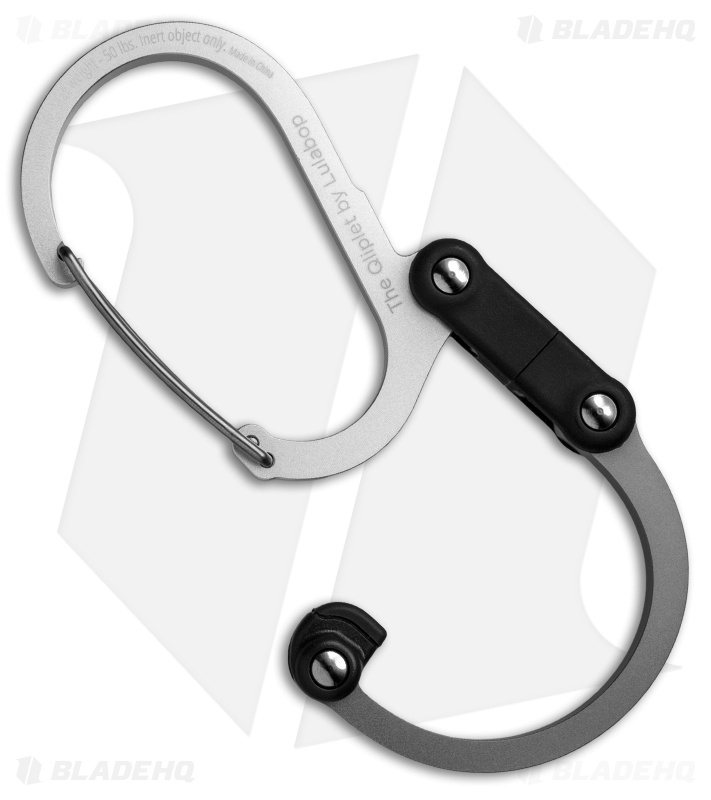 Large carabiner opening with clip for securing items. Wide hook securely hangs from any surface and folds in for storage. 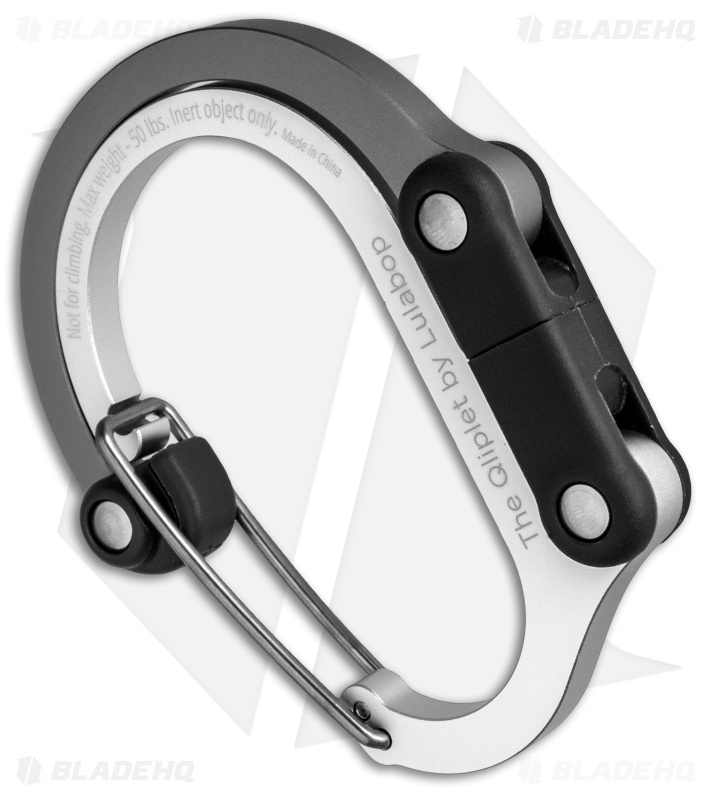 Securely holds up to 50 pounds.